At Woodinville Sports Cars, we don’t just work with Audis, we work with people. Our professional, friendly staff works hard to make sure you leave our shop satisfied. At Woodinville Sports Cars, we know how important your Audi is to you. Our factory-trained, certified Audi Master Technicians have the technology, training, and experience necessary to work on the newest Audis on the road. Your car is safe in our hands. Woodinville Sports Cars has been in business since 2004, and in that time, we’ve seen a lot of Audis. In addition to our technical expertise, we make sure to go the extra mile so that you leave our shop fully satisfied. 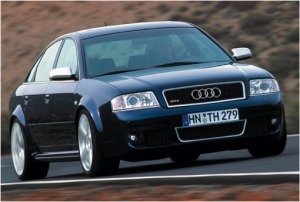 Woodinville Sports Cars is your best option for Audi service and repair in Kirkland, Woodinville, Snohomish, and Bothell. Click here to schedule an appointment online. We look forward to seeing you!